In the lead up to Bristol Come Dancing we’ll be showcasing some of the team and big names getting involved. But what is BCD? On the 8th February, training will start for Bristol’s best dance challenge to date. 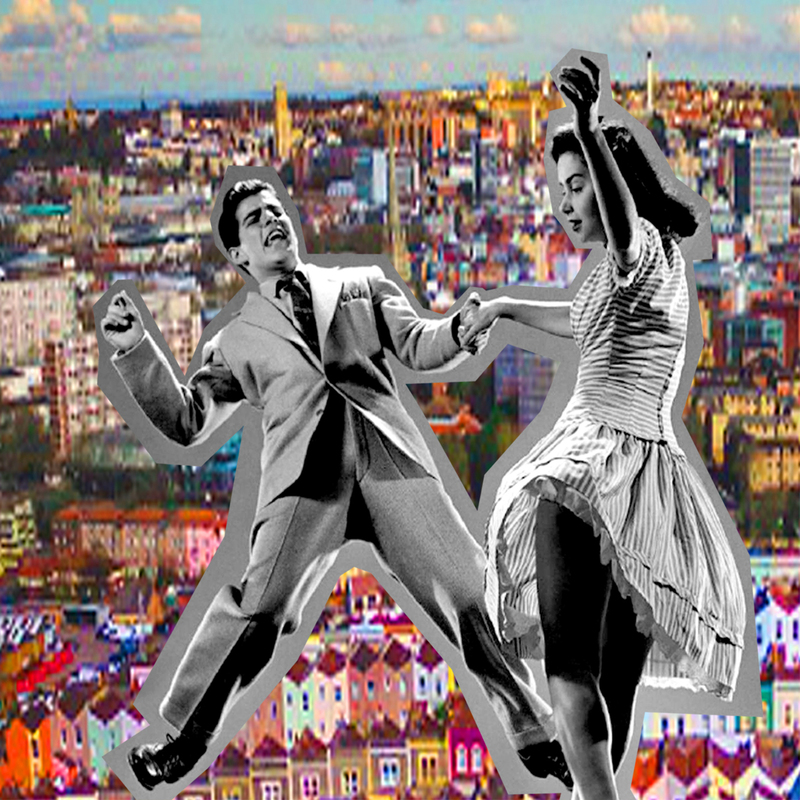 Bristol Come Dancing pits couples from this great city against their friends in the ultimate competition. With six weeks of rigorous and fun dance training in Cuban Salsa and Swing Dance from professional dance teachers before the live event on 23rd March. Who will be crowned BCD Champion Couple? We caught up with David Zilkha, founder of Swing Dance Bristol, who will be leading couples through the training for Swing Dance on Fridays. Dancing for all his life, David has been teaching Swing Dance for over a decade in the UK and Europe; founding Swing and Blues movements and festivals in London and Bristol. Read his 2 minute interview below. Why did you want to get involved in this event? I’m really pleased to be involved with an event supporting two great locally-based charities that make a real difference to people’s lives. The fact that we get to support the charities at the same time as getting people involved in dance is the icing on the cake. Dancing brings people together, provides exercise almost without noticing you’re doing to, makes people happy, and provides a lively social life that isn’t dependent on alcohol. What training do people get when they see you? For the competition, we’ll focus very much on learning a set routine and on performance skills. We teach the same sorts of moves in our general classes but they are geared more towards the social dance floor, i.e. teaching people how to improvise and make up the dance together depending on what the music is. What is the essence of swing? What does the dance mean? Swing dance originated among African-American communities in the US, especially in Harlem, in the 1930s. It became popular across many parts of the US throughout the 30s & 40s, and some of the dancers took it to other countries including the UK. Both swing music and swing dance (also known as Lindy Hop) combine elements of African and European dance/music traditions. It was danced to live music from big bands, such as Count Basie & Duke Ellington, with singers including Ella Fitzgerald. The dance declined in popularity from the 50s onwards. In the 1980s, dance enthusiasts in the UK, Sweden and the US, found Lindy Hop clips in old films of the 1940s, decided they wanted to learn and persuaded some of the original era dancers to teach them. Probably the most famous of these was Frankie Manning who carried on teaching into his 90s! Swing dance is now danced much more widely around the world than it was in the original era, with dance communities on every continent (although i’m not so sure about Antarctica). Whatever country you’re dancing in Lindy Hop dancers are a friendly and welcoming crowd who like to laugh. Why does dance bring people together? It meets a lot of the things we need physically, psychologically and emotionally. We need to be physically active, we need to interact with other people, we need to laugh and have fun. Swing dance provides all of that in a friendly mixed crowd. Everyone remembers what it was like when they started so most people are very encouraging and supportive to beginners. It’s also offers a social activity that isn’t based around alcohol – many of our events do have bar but it’s just as ok to ask for a cup of tea as a beer or wine. Who is it suitable for? Can anyone do this? We have adults of all ages involved in our classes from 18 to 80s. Anyone really can dance, because you can adjust the amount of energy you put in to it to reflect your level of fitness, energy and health status. For the competition, you would need a basic level of fitness but each dance is only about a minute and a half, so it doesn’t need to be that high. 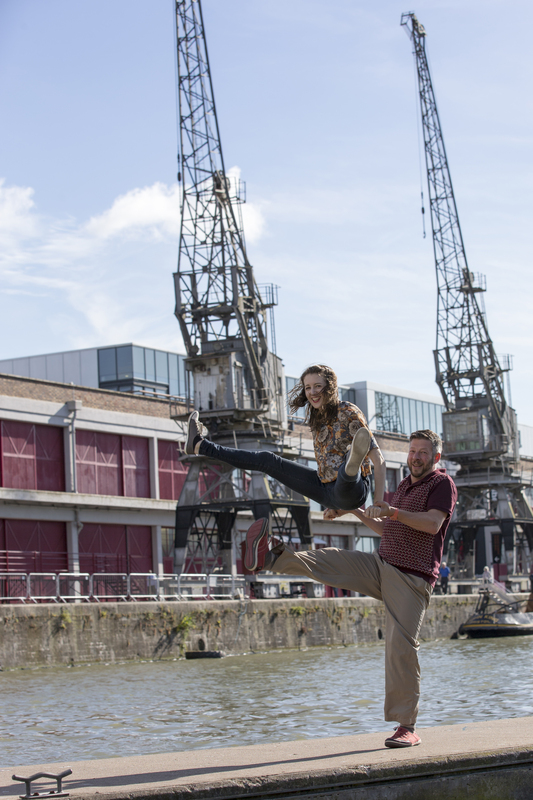 SIGN UP NOW, to take part in David’s Friday classes for Bristol Come Dancing. Registration closes 31 January. Men, there are a lot of ladies already on board, so now we especially need you! Look out for our interview with our Cuban Salsa instructor, coming later this week.